This was one of the best soups I have made yet. 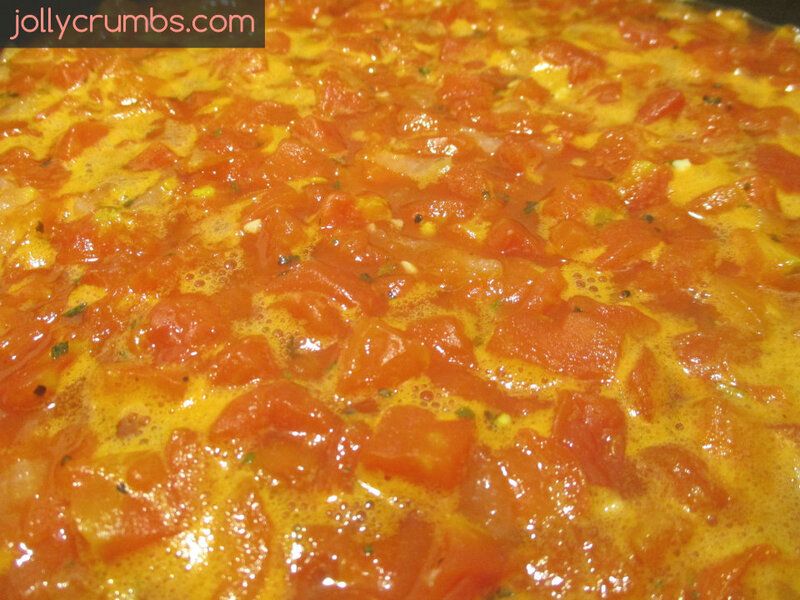 If you are a fan of creamy, tomato soup, you will love this. This is a tomato soup base with cheese tortellini in it. It is wonderful. This is a new twist on tomato soup and pasta with sauce. The soup has wonderful, deep flavors. The tortellini are also wonderful in this. I am looking forward to having this for lunches all week. This recipe makes a lot of soup, a potful in fact. Also, this soup is filling and lower in calories. 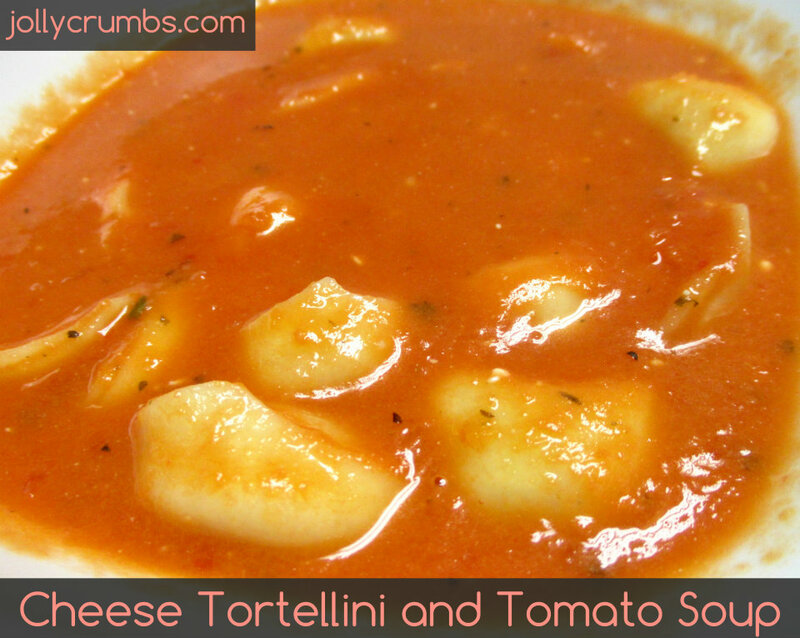 I had some pretty high expectations for this soup because of how much I love tomato soup and cheese tortellini. And boy did it live up to those standards. I highly recommend this soup to anyone. It is fabulously delicious. To start the soup base, heat the no calorie butter over medium heat in a large pot. I used no calorie butter to obviously cut back on some calories. You could also use any oil, margarine, or butter of your choosing. Once the no calorie butter is hot, add in the onion and garlic. You will need to cook them until they are tender, about 5 minutes. Stir in the pepper flakes, tomatoes, vegetable broth, basil, salt, and pepper to the onion mixture. Simmer for about 15 minutes on a low setting. 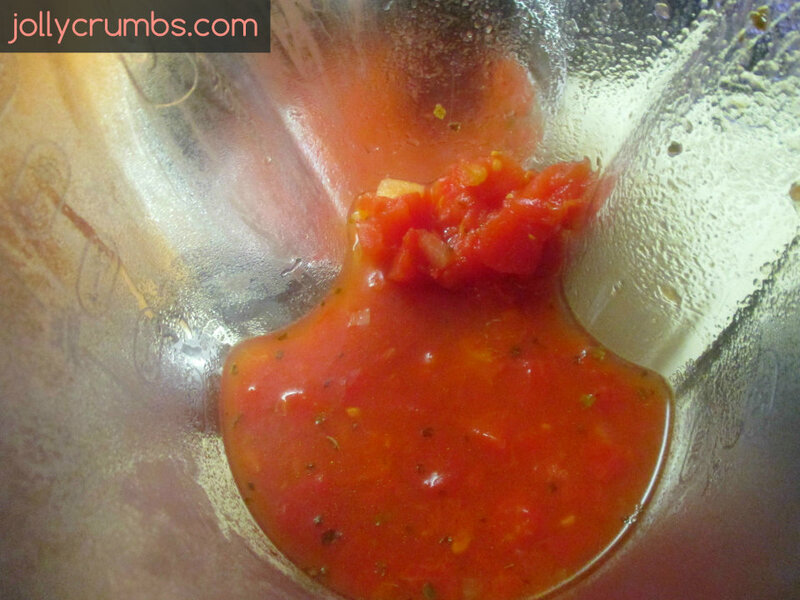 When the soup is done simmering, use a hand blender to blend the soup until smooth. You can also use a regular blender to do this. I don’t have a hand blender, so I used a blender and it worked perfectly. I ladled the soup into the blender in small batches, and once it was smooth, I poured each batch into a new pot. However you blend your soup soup, make sure it is back on the warm stove top. Stir in the Greek yogurt until it is completely combined into the soup. Once it is completely smooth, add in the tortellini and cook on medium-low until the tortellini is cooked, about 7 to 8 minutes. I used frozen tortellini, so my tortellini took about 8 minutes to cook completely. Serve the soup warm and top it with cheese, basil, or whatever garnish you’d enjoy. This soup is a wonderful combination of homemade and store bought. 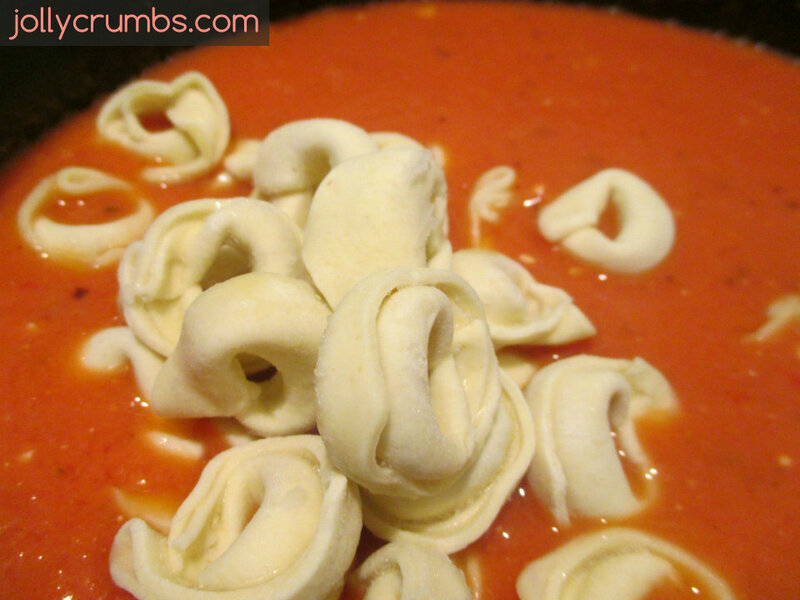 You easily make your own tomato soup and add in some frozen or fresh tortellini. It’s so simple and wonderfully perfect. I was so impressed by how good this was. Also, you can use any kind of tortellini you’d like. I love cheese tortellini, so that’s what I chose. But, you could easily use a meat-filled one this. The soup part of this is creamy thanks to the Greek yogurt, and it has a wonderful flavor thanks to the onion, garlic, red pepper flakes, and basil. The soup alone would be wonderful to eat, but with the tortellini it’s over the top perfection. In a large pot, heat the no calorie butter (or other option listed) over medium heat. Add in the onion and garlic and cook until they are tender, about 5 minutes. Stir in the red pepper flakes. Add in the tomatoes, vegetable broth, basil, salt, and pepper. Bring to a simmer, and let it simmer for 15 minutes on a low setting. Use a hand blender to blend soup until smooth. You can also use a regular blender. Just return the soup to the stovetop when you are done blending. Stir in the yogurt until well combined. Then add the cheese tortellini and cook on medium-low until the tortellini is cooked, about 7 to 8 minutes. Serve warm and garnish as you like!